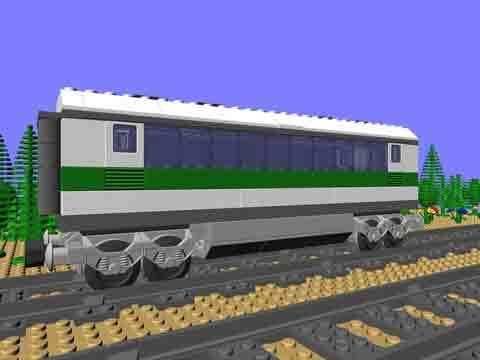 The CTB-1133 HS Passenger Wagon is a long (28 studs) four axle piece of rolling stock. The “HS” nomenclature came about from the color scheme employed by the 4511 High Speed Train. This model uses a number of pieces which may be hard to find, notably the Smoke colored 1x2x2 panels and plane window glass. While these elements may not be readily available, you may be able to find them on BrickLink. Printed and bound instructions for CTB-1133are available for purchase on Bricklink.